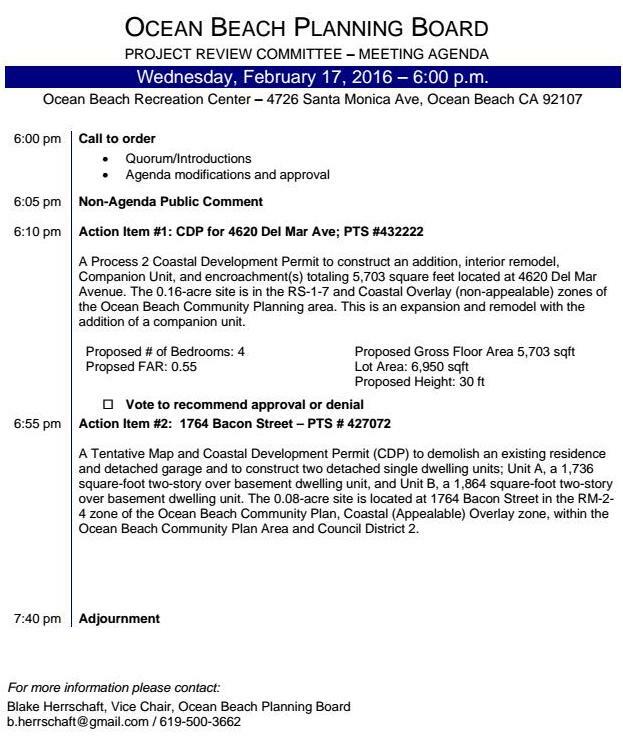 The Ocean Beach Planning Board’s sub-committee, the Project Review Committee, has 2 projects on its agenda to consider at its meeting Wednesday night, Feb. 17th. The review committee – chaired by Blake Herrschaft – usually makes recommendations to the full Board, which also meets monthly – on the first Wednesday. The 2 projects under review include one at 4620 Del Mar Avenue and the other at 1764 Bacon Street. The committee meets at the OB Rec Center – 4726 Santa Monica Ave. – and begins at 6pm. 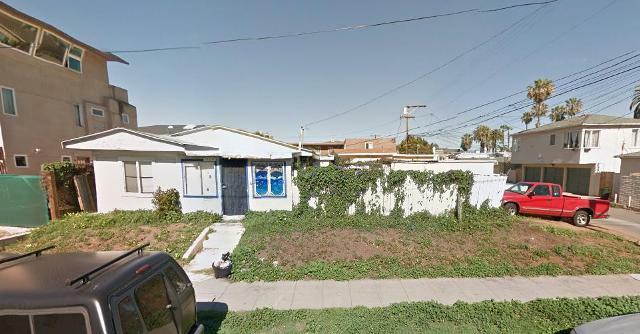 This project is a proposed expansion of one unit with interior remodel and the addition of a “companion unit” at 4620 Del Mar Avenue, for a total of 4 bedrooms. The proposal includes a gross floor area of 5,703 square feet on a lot that is 6,950 square feet. The proposed floor area ration (FAR) is 0.55. Perhaps we don’t understand something here. And we await explanation by OBPB members or former members. But the FAR is determined by a simple fraction: the gross floor area divided by the lot area, and if one does that procedure in this case, the fraction is 0.82 – over the required maximum FAR of 0.70 (for most of OB). 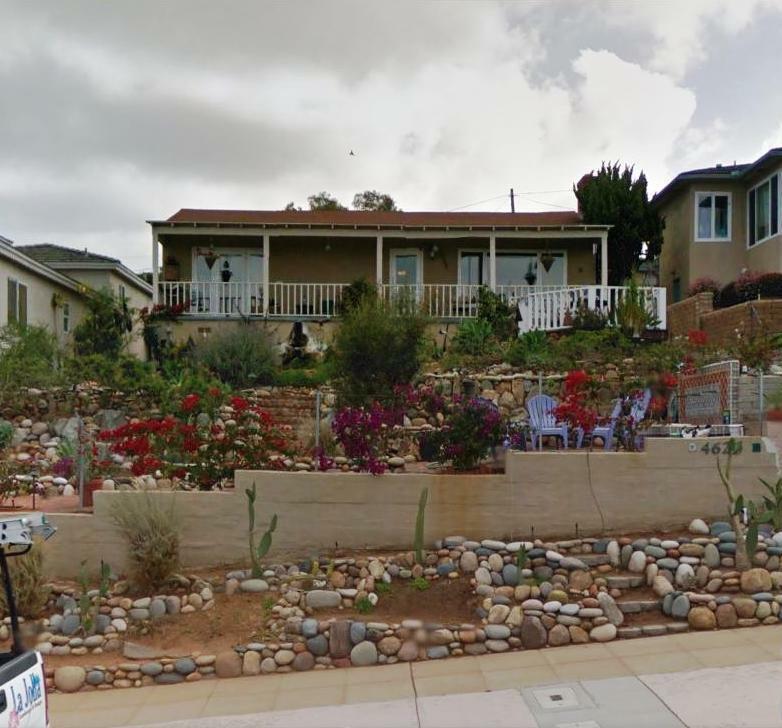 The second project for review is a proposed permit to demolish an existing house and detached garage at 1764 Bacon and build two detached single family units – each two stories. 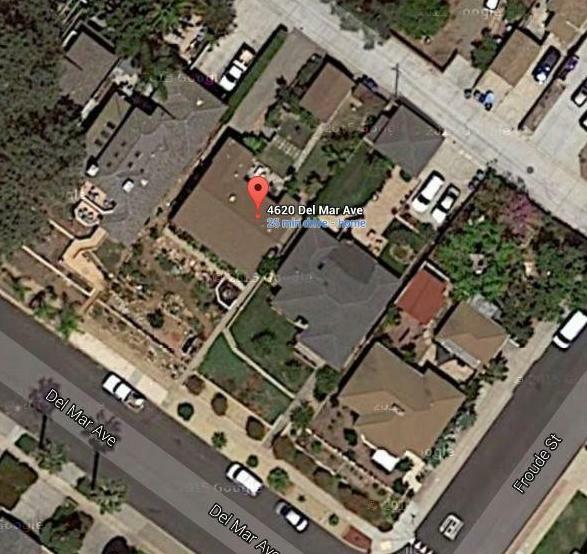 Unit “A” would be a 2-story over “basement” residence with 1,736 square feet, and Unit “B” also a 2-story over “basement” unit with 1,864 square feet.